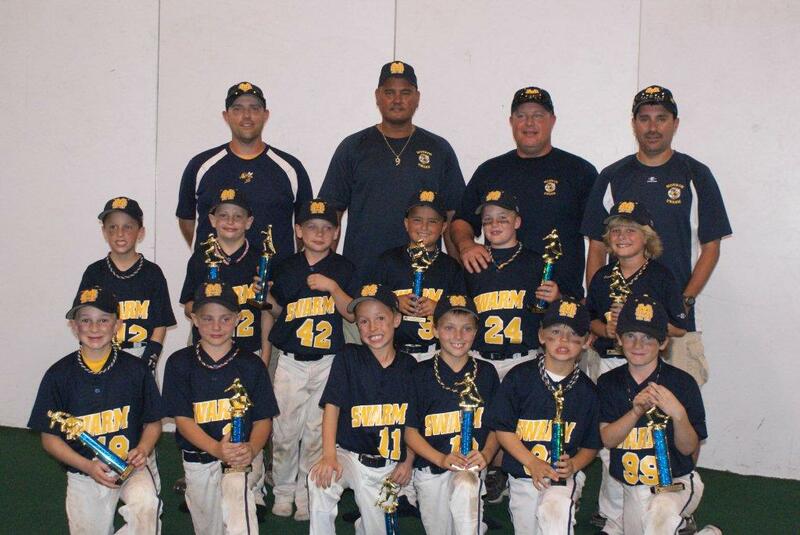 The U8 Swarm team took first place in the MAK tourney held at Action Sports Center in Dayton, Ohio. The MAK is a Memorial Tournament held in honor of Mark A Kreusch. Mark was four years old when his life suddenly ended in a boating Accident on August 11, 2007. Mark's parents vowed to keep his memory Alive by enriching the lives of other children. Their dream is to Continue Mark's legacy through various projects. The fund will " Leave a MARK on a child's life". The U8 team is coached by Head Coach: Terry Keeton, asst coaches Rick Griffis, Chris Earls and Jack Baker. The boys are from Monroe, Lebanon, Waynesville and Amelia.